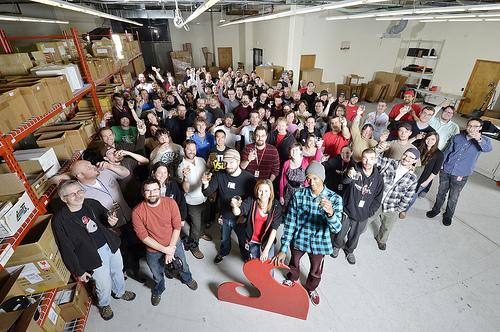 We currently have the following job openings at SparkFun. Feel free to apply for all of them. Don't see the position that's right for you? You can fill out a general application for all open positions. So you want to work at SparkFun? SparkFun is a firm believer in the ideology of open source technology. We believe an open market is a healthy market and we open source all of our product designs. 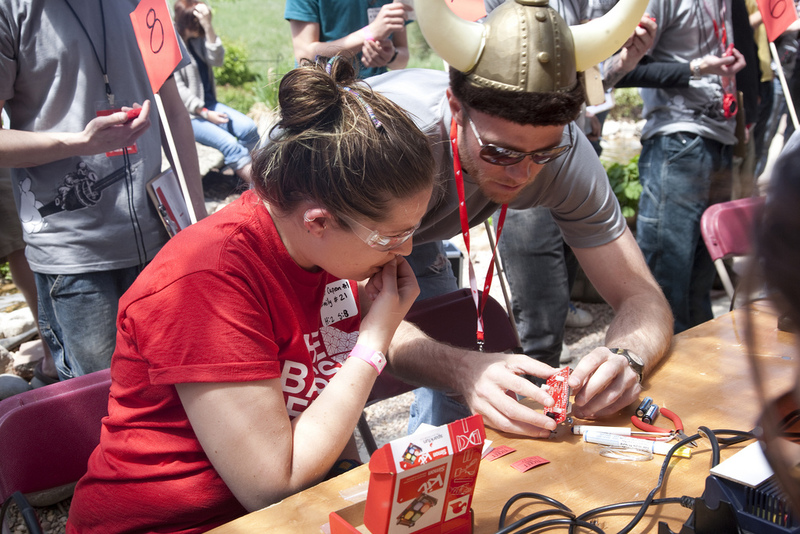 SparkFun subscribes to the belief that open source tech encourages innovation and creativity, while helping empower individuals to build the projects they want. SparkFun CEO Nathan Seidle recently presented at TEDx Boulder about the power of open source and how it has helped SparkFun succeed. You can read more about Nate's presentation and SparkFun's open source philosophy here. You can also check out Chris Clark's (SparkFun Director of IT) article "How SparkFun Built Their Open Hardware Business." SparkFun employees exist in the same group as our customers - we are curious students, engineers, prototypers and hobbyists who love to create. We are snowboarders and rock-climbers, painters and musicians, engineers and writers, but we all have one thing in common: We love electronics! You can also find SparkFun on Facebook, Twitter, Instagram, YouTube, Flickr and Vimeo. If you'd like to come say hello in person, we give tours most Fridays at 3 p.m. Please see our tours page for all the details. This is Glenn. He took the reins as CEO of SparkFun in August 2016, after Nate decided it was high time he got back to full-time tinkering at SparkFun. 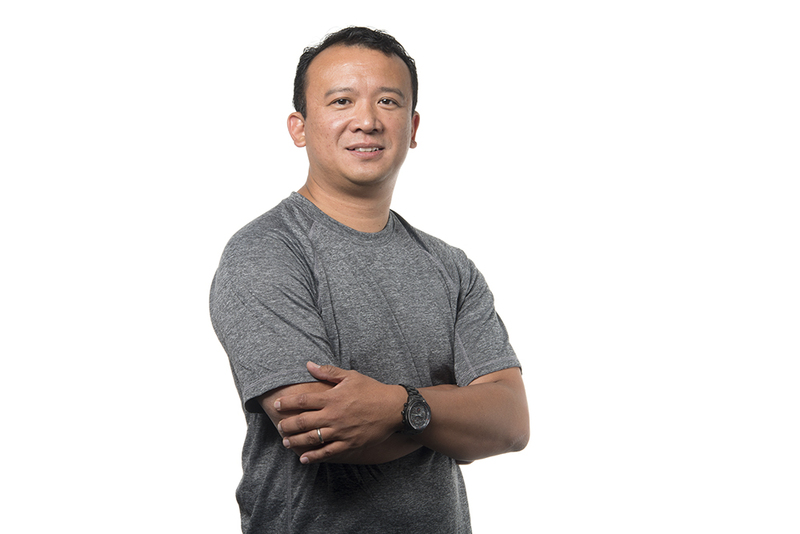 Prior to joining SparkFun, Glenn was Senior Director/General Manager of Global Business Development for Arrow Electronics. To read more about Glenn, check out his full bio here. Nathan Seidle is SparkFun's founder and former CEO. 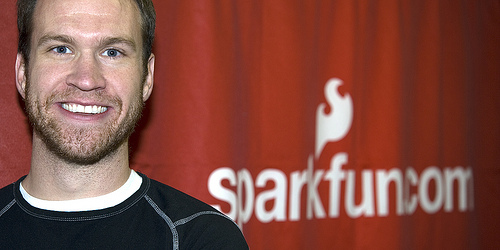 Nathan founded SparkFun in 2003 when he was a junior in college, and the company has grown to be one of the leaders in the world of DIY electronics and open source technology. To read more about Nathan, check out his bio here.